There is something very magical about Disney, it brings out the child in everyone and take you back to a moment in your childhood, with just the sound of a song. My girls and I love Disney, they have soft toys, dolls and several fancy dress costumes to become a princess themselves. 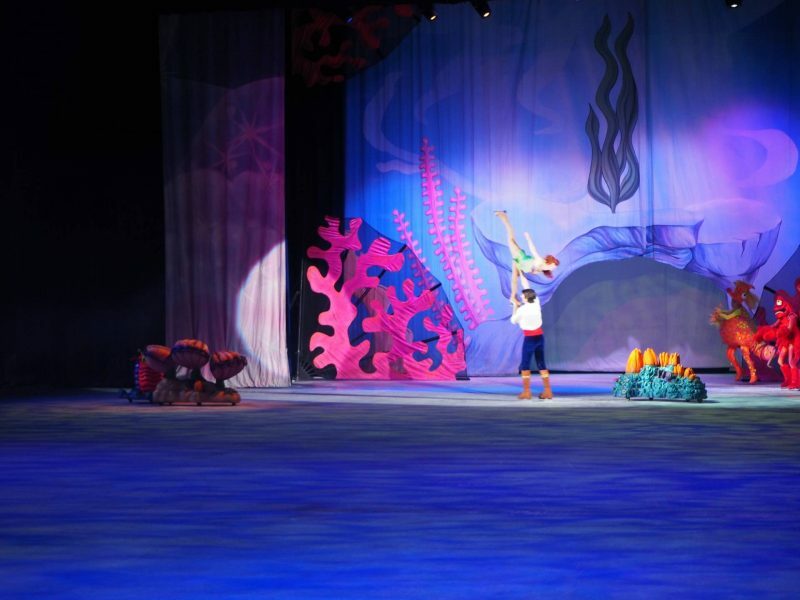 But there is nothing more magical than seeing your favourite character come to life. 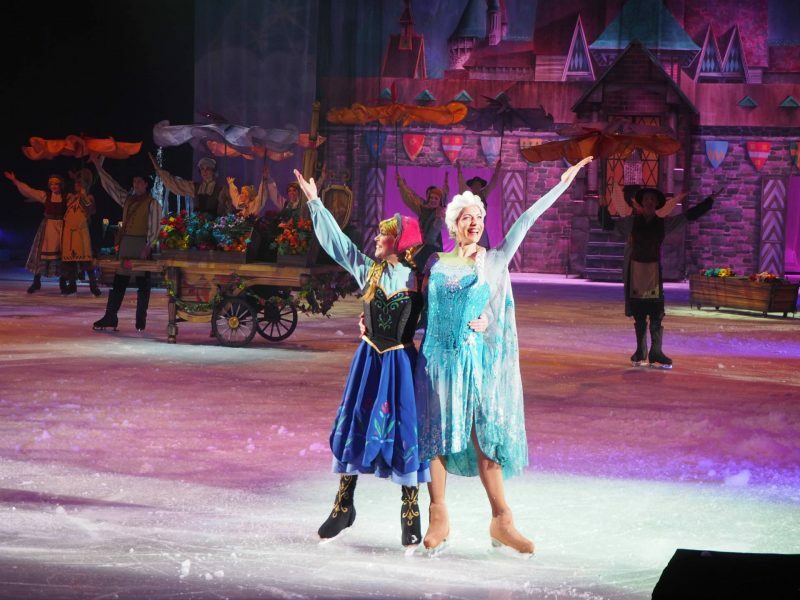 Last weekend we headed to Cardiff to see the latest Disney On Ice Worlds of Enchantment show and it didn’t disappoint. 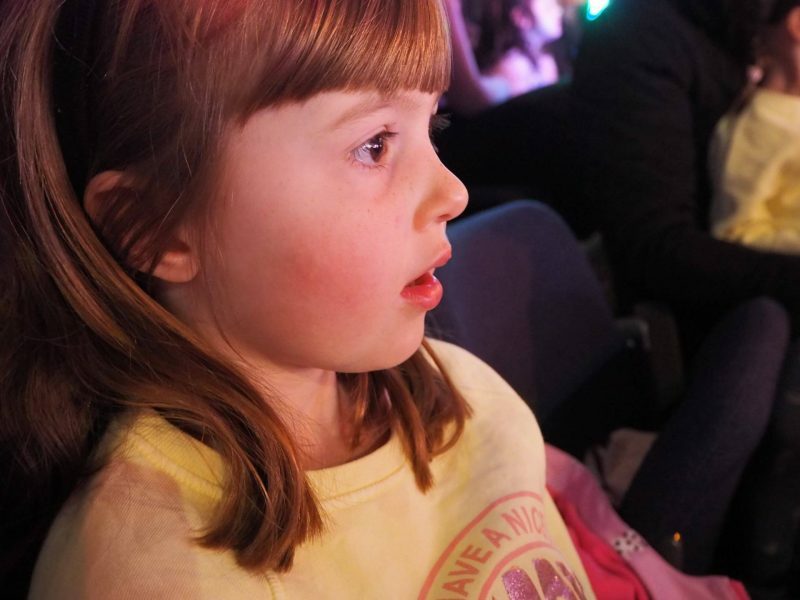 What I love most about watching Disney On Ice is seeing it through the girls eyes, those moments where they are mesmerised by what they are seeing. Those little moments when they scream ‘mum look, look it’s Elsa’. These are the moments that childhood is all about. Alice loves Minnie Mouse and with her Minnie Ears on and her cuddly Minnie toy in her arms she couldn’t wait for Minnie Mouse to make an appearance. 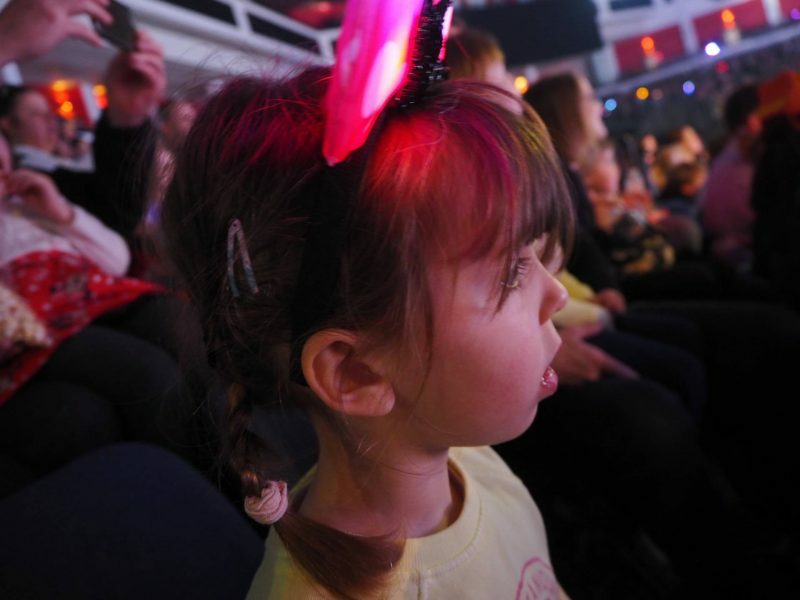 As always Mickey and Minnie open the show and the Alice was amazed from the minute it started. They were off course by their friends. It was then time for Mickey and Minnie to introduce Toy Story and just like that we are exported to a moment in the film that is familiar and the characters come to life. 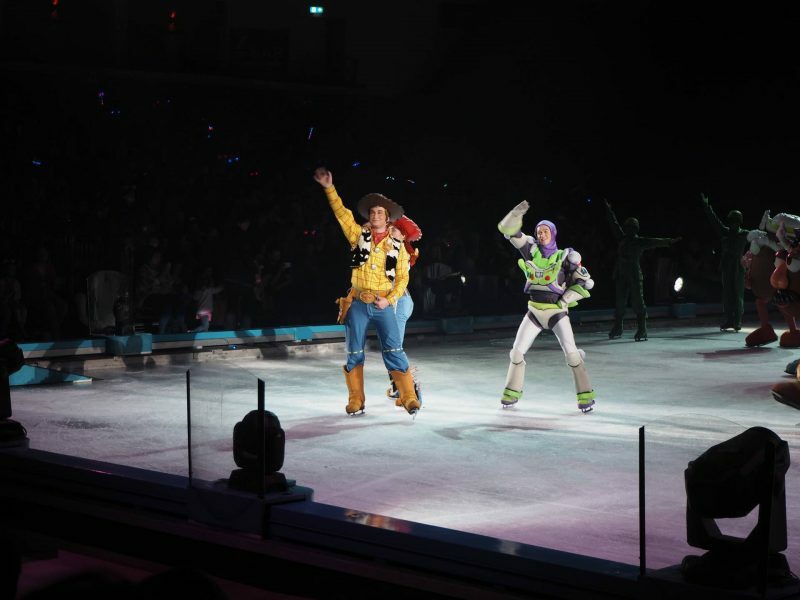 With Buzz, Woody and Jessie all taking centre stage the girls were loving it. They were joined by all the favourites, and Holly loved seeing Mr & Mrs Potato Head which she plays with all the time. I’m always amazed at the quality of the skating that the performers do. Most of it goes over the girls head, but for the adults it is a true delight to see such high level skating. With Toy Story over, it was quick to move onto The Little Mermaid, a personal favourite Disney film of mine. I love Sebastian, the crab! 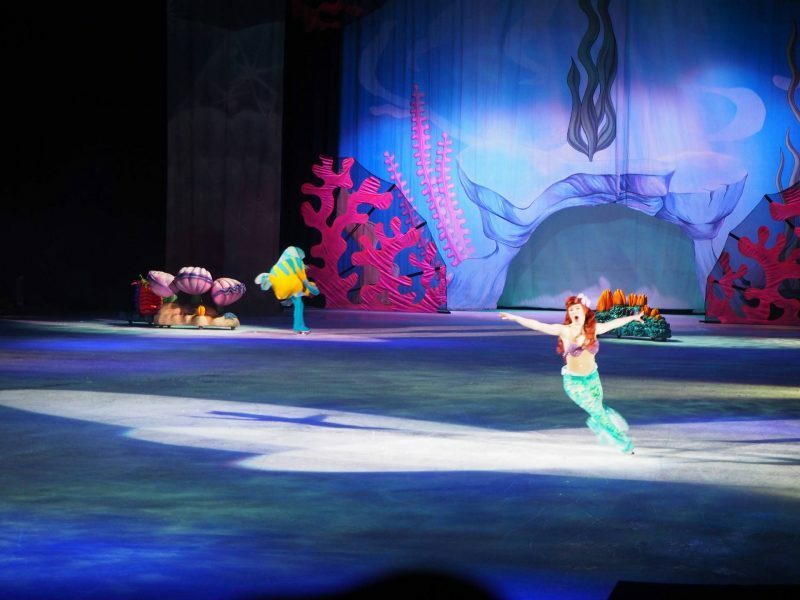 Alice was really pleased that The Little Mermaid was on, as she loves Aerial and loves to dress up as her. 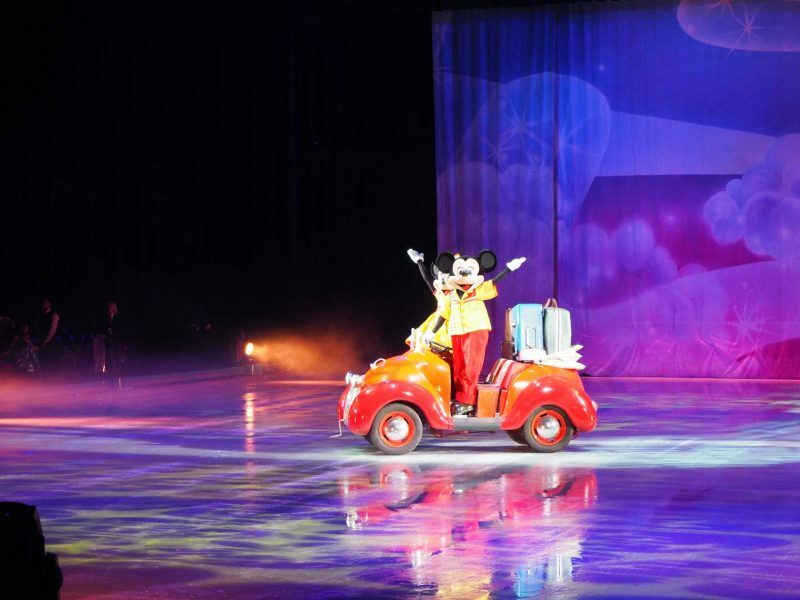 It was then time for the interval and when we returned Micky and Minnie arrived back on in their car. They were off on holiday, but their car broke down. 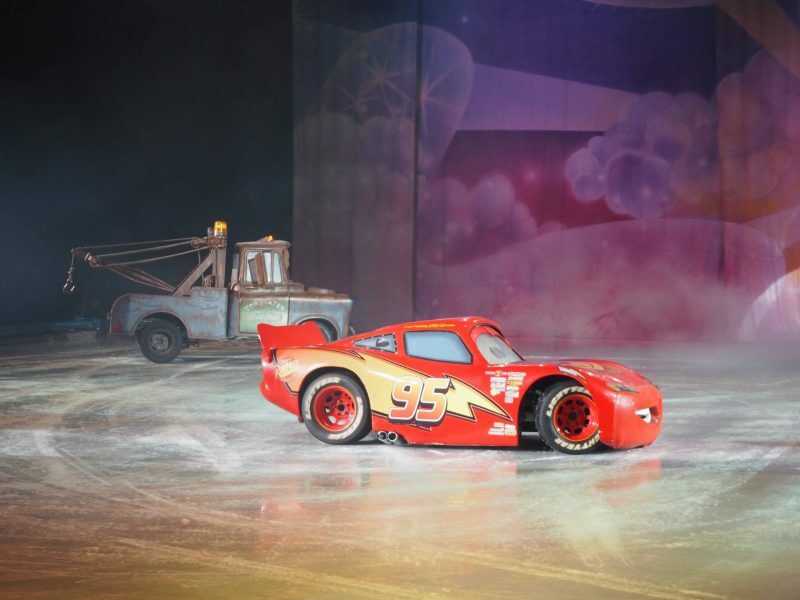 This brought the introduction of Cars, and it is pretty amazing seeing the cars move around on the ice. I don’t think the girls could believe what they were seeing. 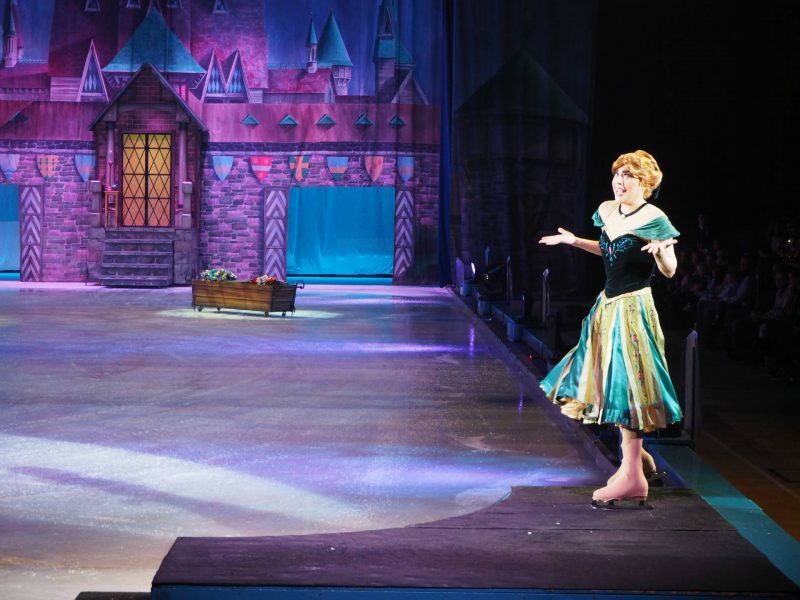 It was then time for Holly’s favourite, Frozen. She loves Anna and Elsa, and every day she asks to have her hair as Anna plaits, it’s just the cutest. It’s not a film that she watches a lot, but she plays with her dolls all the time. 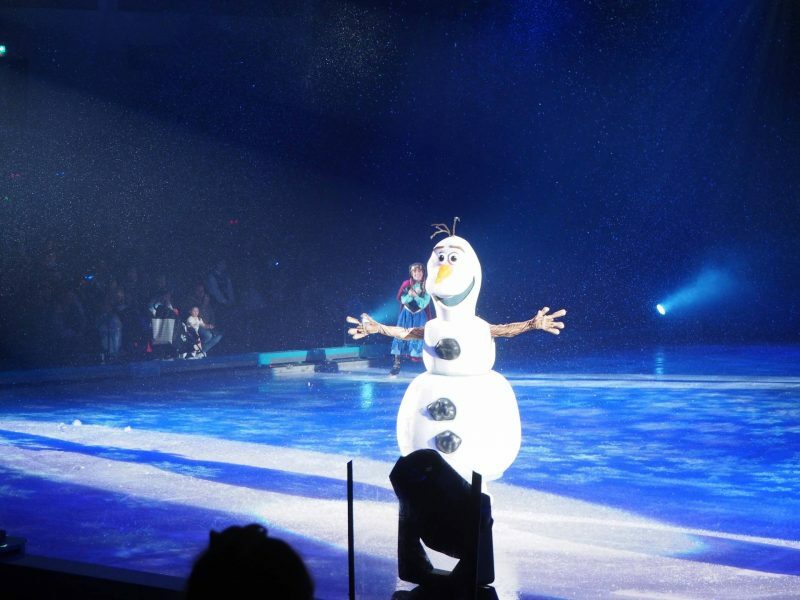 Of course Frozen isn’t complete without Olaf, who I love. 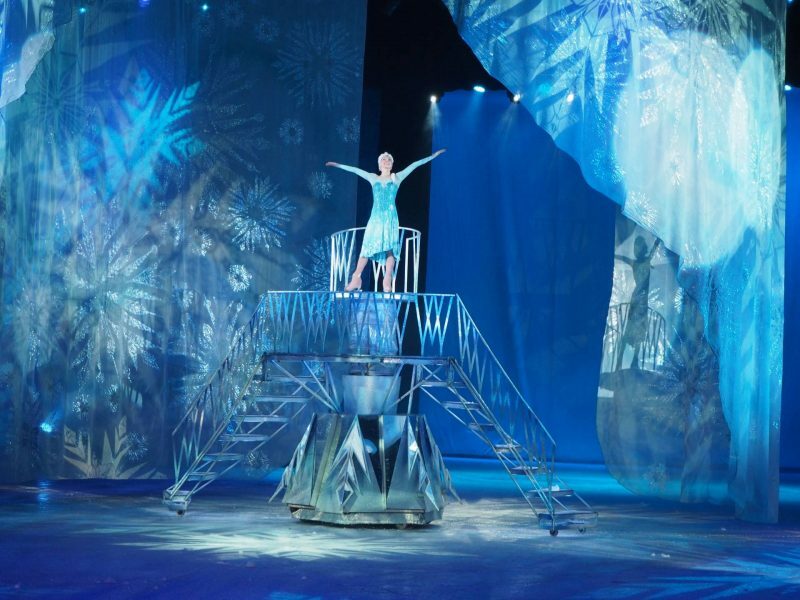 Frozen is such a beautiful film and the songs are recognisable. Holly dances to Let It Go every week at ballet and she was singing along to it. I may have joined in too. 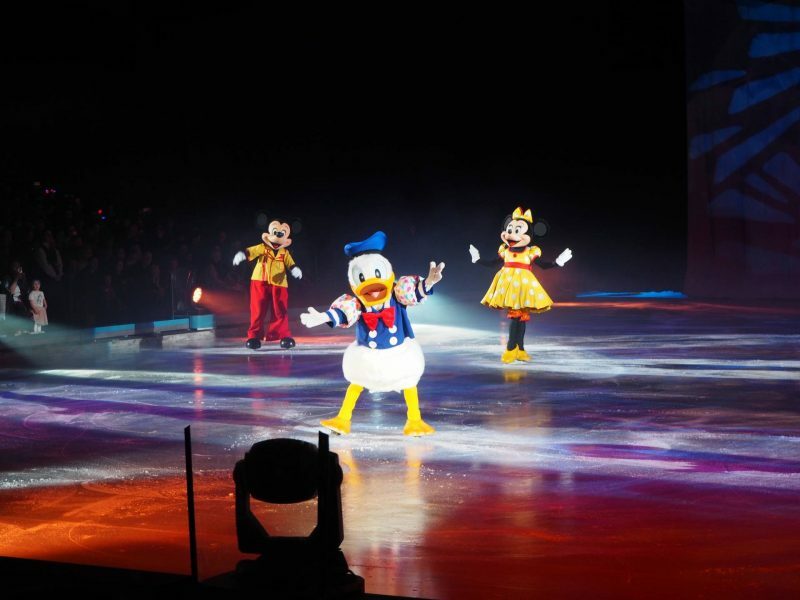 You can find all the latest information on Disney on Ice here. 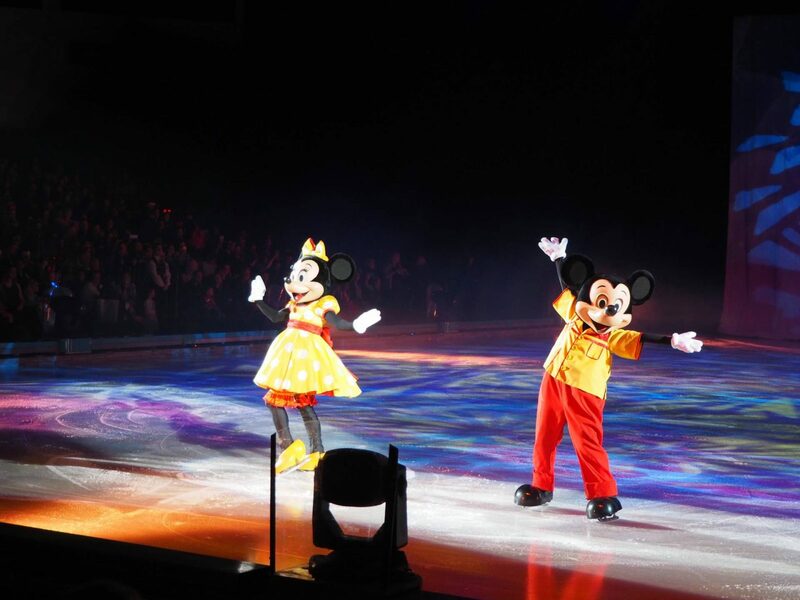 We had such a wonderful time at Disney On Ice, it’s always a lovely family event and the girls adore it. 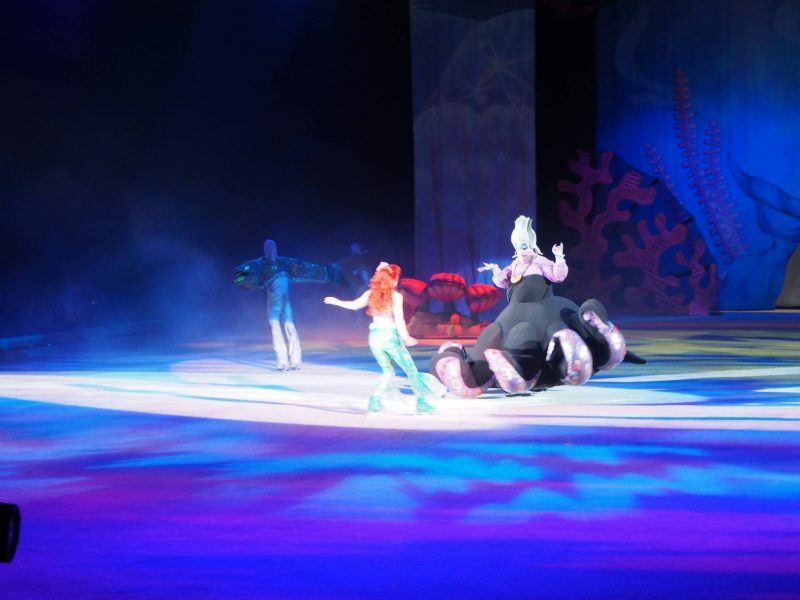 Disclosure: We were kindly invited to Disney On Ice in return for a honest review. All views, opinions and photos are my own. Ahh, this looks incredible! 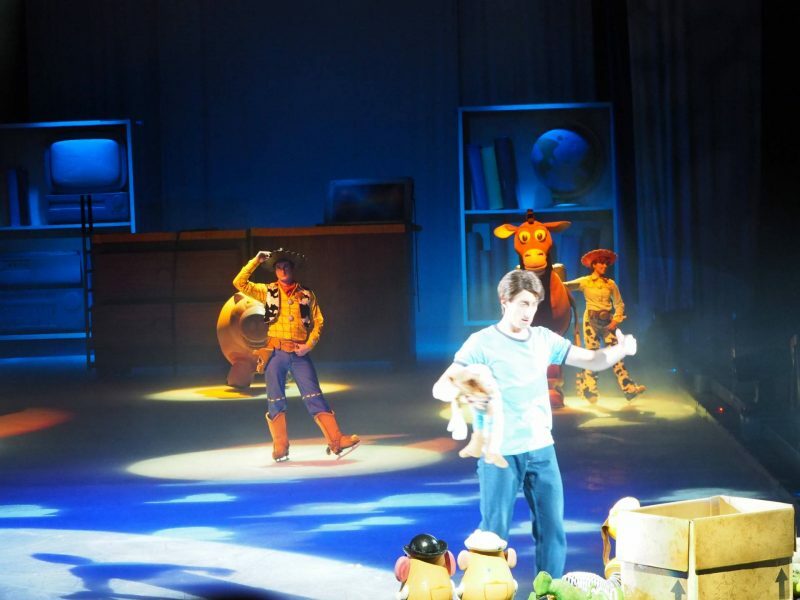 Max would absolutely love it – all his favourites, Toy Story, Frozen and Mickey Mouse (or Vicky Mouse as he calls him!) I wasn’t sure how well he’d cope with it earlier in the year, but I think he’d have such a good time now. Wow! 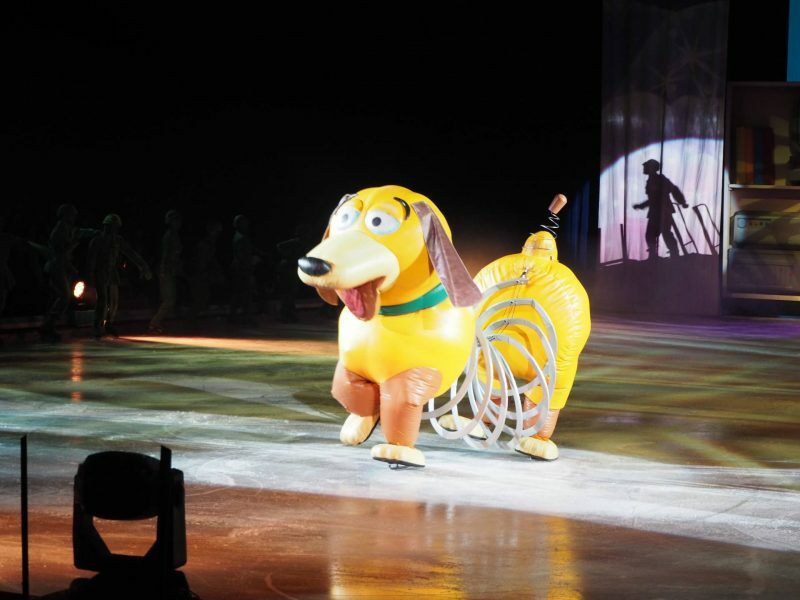 I think Disney on Ice looks fantastic. I know for sure my 2 would love it. The girls looked like they loved it so much. Oh isn’t it brilliant? We saw it a few weeks ago too, such a fun production. 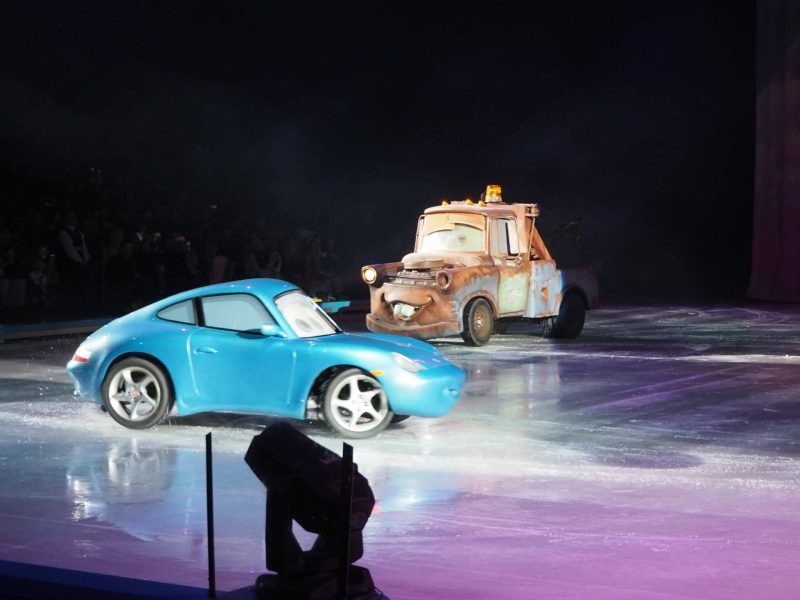 I was also really impressed with the cars on the ice!